How Much Are Marquees To Buy? Are you looking for a top-quality marquee for your business? Then call Weatherill Brothers today on 01953 882 394. Wondering how much marquees are to buy? Of course, that’s a question that’s difficult to answer because so many variables are involved: Size, Quality, Materials, Options, The list goes on. So, the best thing you can do if you’re looking for a high-quality marquee that will stand the test of time and prove to be a great investment, is ask the team at Weatherill Brothers in Watton, Norfolk. Weatherill Brothers have been in the marquee business since the 1950’s, so there’s nothing we don’t know about marquees. 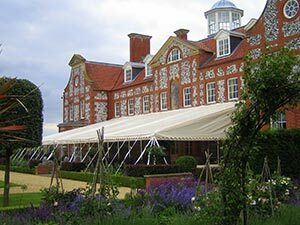 We design, manufacture, hire and sell marquees to businesses and individuals all over the UK. We also manufacture bespoke canvas products like covers for agricultural machinery and Formula One cars. When you call us at Weatherill Brothers you’ll experience a friendly service from knowledgeable people who can answer your questions and help you choose the right product for your business or venue. A marquee can increase your revenue and profits quite significantly, and over the years we’ve helped many businesses to do just that using the right semi-permanent marquee. And of course, you’re always welcome to come and visit us at our base in Norfolk. There we’ll be able to show you different styles of marquee, and different materials too. You’ll get to see our craftsmen manufacturing some of the UK’s best quality marquees, and get your questions answered. Call us today on 01953 882 394 to learn more.